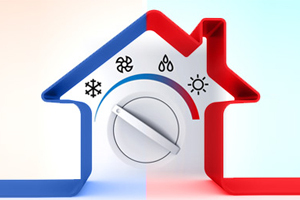 Family owned and operated in Pittsburgh, PA since 1929, Staab & Sons’ full range of heating and cooling services is sure to keep you comfortable all year long. We are your one-stop shop, not only for HVAC, but everything to do with plumbing. We have a qualified, well-trained staff of plumbing technicians on hand to help you with everything — from leaky faucets to complete plumbing fixture replacements. Staab & Sons is the best reviewed dealer in town and has received the BBB Torch Award for Ethics! Please take our customer survey and let us know how we are doing because we always want to keep improving our service to our customers. 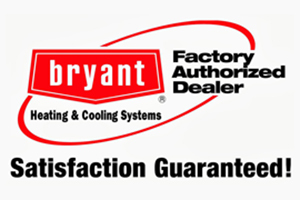 With more than 100 years of experience, Bryant delivers a full range of durable heating and cooling systems. So if you’re looking for home comfort you can rely on, look no further. 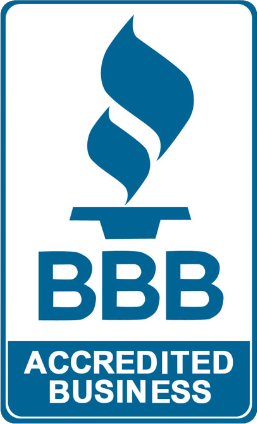 All BBB accredited businesses have agreed to live up to our Standards for Trust. Our Standards for Trust are a comprehensive set of policies, procedures and best practices focused on how businesses should treat the public – fairly and honestly in all circumstances. Staab & Sons has earned the service industry’s coveted Angie’s List Super Service Award, reflecting an exemplary year of service provided to members of the consumer review service in 2013 and 2015. — John and Cathy F.
Your people are very personable and we are happy to recommend Staab. Jim is always very thorough when performing the annual furnace check to ensure everything is working properly. It is much appreciated. Very pleased. Hope to establish a long term business relationship, with such a positive beginning. Rick is exceptional. He is not only extremely qualified to fix every heating and cooling problem we ever had, he is also so kind too. He is such a good and trustworthy person and does extraordinary work as well. Pleased with everything from initial phone call for estimate to completion of job. Excellent service. I’ve had an excellent experience with Staab. They replaced my AC and furnace, re-did some of my duct work, and installed dampers for zoned cooling. The price was reasonable for the amount of work, the job was completed on time, they were extremely friendly and professional, and they even mopped up the basement floor before they left so there was no mess for me to clean. Since the installation a few minor questions have come up and they have been extremely responsive, coming back at no charge to make any needed adjustments. Overall, honestly just top-notch customer service. Highly recommend them and will definitely be calling them again if I need anything else. We began working with Staab & Sons approximately 8 years ago when we decided to replace our furnace. We have been exceedingly happy with the people who work on our projects, the equipment we have purchased and the workmanship of the technicians who have done the work. Working with Staab & Sons we have replaced our furnace, installed full house air conditioning, completely renovated our main bathroom and have used them for typical heating and plumbing repair problems that are associated with home ownership. We happily look forward to working with them on any and all future projects. I highly recommend Staab & Sons. Living in a 100+ year old home for the last 16 years I’ve used a lot of different contractors. I never used any of them more than once because I was never really impressed. But these guys I have used several times already and they are the only ones I will call from now on for all my plumbing and heating needs. They are courteous, respectful, and do not pressure you to do more work than you want done. You can count on them. I have no complaints – good professional work. Thank you. We had 2 A/C units installed a couple years ago and Branden and his guys did a great job. When my furnace went down this year I wouldn’t call anyone but Staab & Sons to do the job. They did a great job from estimate to install to cleanup and follow up. Jim responded the same day and diagnosed the problem with our furnace in 15 minutes. He researched replacement parts and they weren’t available so he gave us several options for a new furnace. He ordered the new furnace and Branden and Bill removed and installed the new one. Service couldn’t have been better. I had no heat, they were here in 45 minutes. Great service! Great work Jim! Install was excellent. Clean, neat, efficient. Installers were professional and courteous. Staab & Sons have installed our furnace and A/C. As well, as we maintain yearly maintenance I will continue to use your company. Thank you!